Benefit is one of the most popular mid to high-end beauty brands in the UK. Its vibrant packaging and quirky product names have helped turn Benefit into one of the go-to brands for younger women. Given the price of its product range, it’s often a brand that’s saved for nights out or special occasions – it definitely is for me! The vast majority of my makeup collection is drugstore, although I’m definitely partial to a bit of MAC. But I came across the Benefit Sugarglam Fairies gift set online quite a while ago, and I managed to bag a fantastic deal. I believe the RRP for the set is in the region of £70 – I was lucky enough to pick it up for £40. The gift sets are ideal if you’re looking for a couple of products; buying them individually can be a tad pricey! 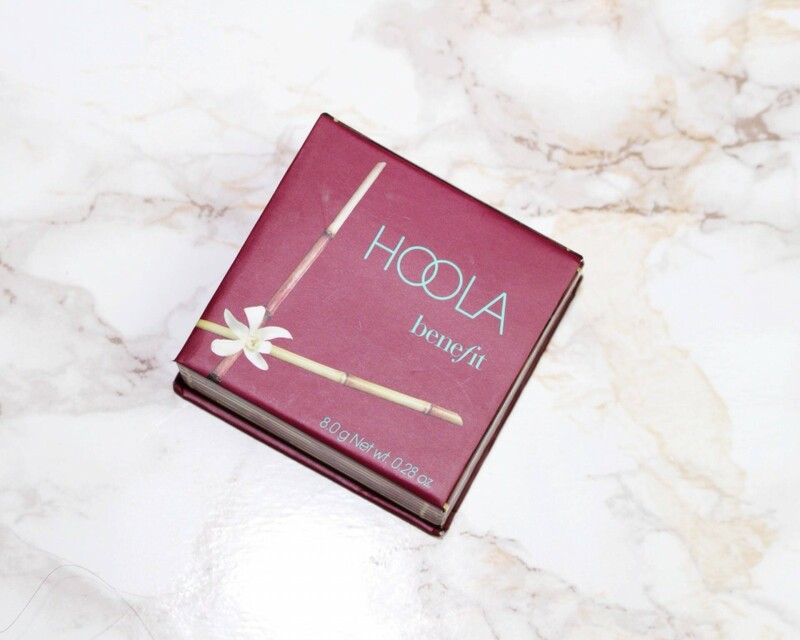 The set contains 4 of the most well-known products from the Benefit range: ‘The Porefessional’ primer, ‘Hoola’ bronzer, ‘They’re Real’ mascara and ‘Benetint’ lip and cheek stain. They come in this super cute tin shaped just like a little house, all decorated for Christmas. I’m definitely keeping the tin – I have so much clutter everywhere, and since moving bedroom, I’m trying to keep things tidy! So far I’m failing on that point. Most of the products are full-size, but there really is no need for the huge tin, as cute as it is! 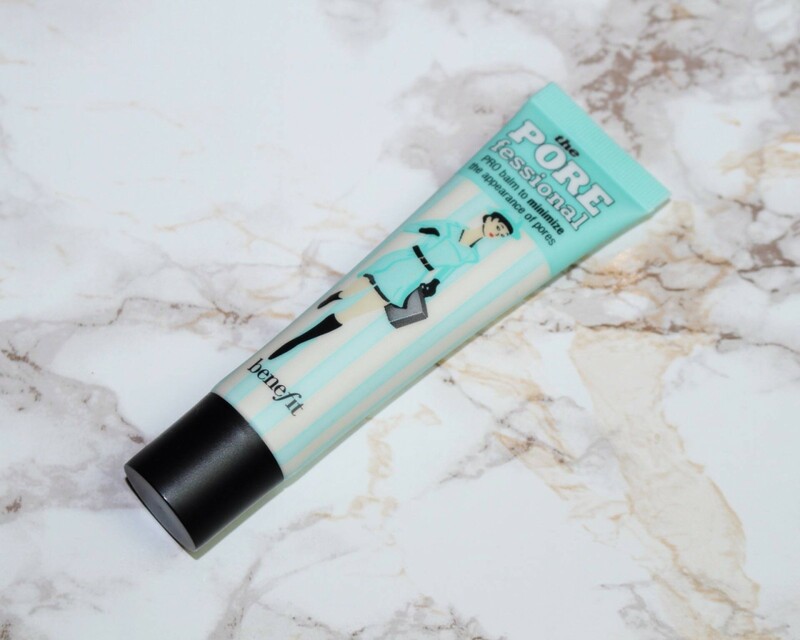 ‘The Porefessional’ primer is one of my favourite primers of all time. I always use primer after moisturiser and before foundation – I find that it makes foundation so much easier to apply and also keeps everything in place for so much longer! 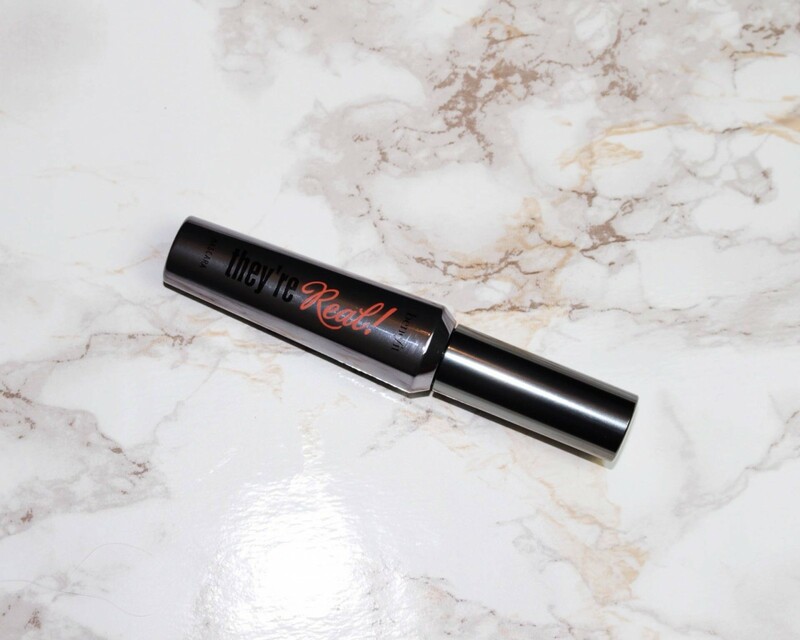 I received a sample of this one years ago and fell in love with it – it was so lightweight, and my makeup didn’t budge all night (it was one of those ‘get home at 6am’ nights, so that’s pretty impressive in my book!) I did look into purchasing it shortly after, but the price deterred me; my MAC foundation costs less than the primer I’d be using underneath it. I tend to use Maybelline’s ‘Dream Smooth’ primer for everyday use, which comes in at around £9 and can be found in most drugstores. I’ll be saving this one for big nights out when I can’t be bothered leaving the dancefloor to check my makeup every 20 minutes. You only need to use a tiny blob (which is great considering the price!) and it’s oil-free, which is ideal for those of us with oily or combination skin. Definitely one to re-purchase – when I’m in the mood (and financial position) to treat myself! Benefit are perhaps most famed for their range of mascaras. Lots of my friends swear by both ‘They’re Real’ and ‘Roller Lash’ (the latter of which I have a free sample, haven’t tried it out yet!) Again, I tend to stick with drugstore mascaras; while lots of people would go for mascara over foundation if faced with the dilemma of wearing only one product, I’ve been blessed with thick, long, dark lashes. Of course, if I’m getting ready for an occasion I’ll enhance them with either Maybelline’s ‘Big Eyes’ or L’Oréal’s ‘Miss Manga Punky’ but I don’t tend to wear mascara every day. I was expecting big things from ‘They’re Real!’ but was I impressed with the result? To be honest, I was a little disappointed. I only ever apply one coat of mascara (I find that having layer upon layer weighs my eyelids down and I look really tired, especially if I’m wearing contacts!) and I couldn’t really see THAT much of a difference. Maybe it’s one of those products where you need two or three coats in order to get the full effect – in which case, I won’t be repurchasing! First of all, let me make one thing clear – I am VERY wary of any product which contains the word ‘stain’. It just reminds me of the time I dropped a bright red lipstick on my mum’s cream bedroom carpet a rather long time ago! 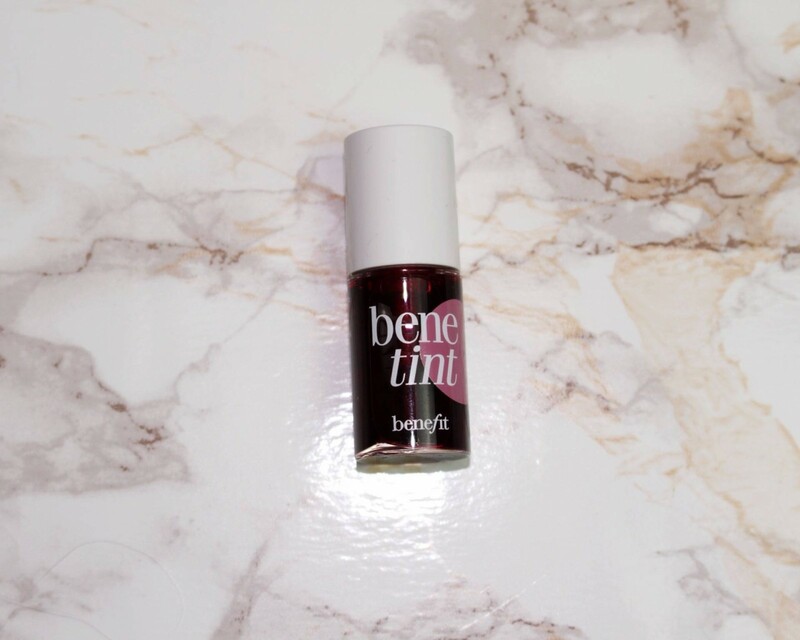 ‘Benetint’ reminds me of those lipstick-locking products with their nail polish-style applicators and strange smells. It’s a very watery liquid and appears quite dark in colour, which made me even more reluctant to apply it to my cheeks. I opted to use it as a lip stain, but found it quite difficult to apply because of the consistency – keep a tissue handy! It’s also one of those products that you spend 5 minutes making the ugliest face in existence waiting for it to dry. The colour is a gorgeous dark pink shade; not my usual choice of colour (or product, for that matter) but it’s definitely something I’ll keep in my collection for when I fancy a change – don’t know if I’d repurchase though! Overall, my favourite products are definitely ‘The Porefessional’ and ‘Hoola’. I’ll be saving them for a night out though – once I’ve mastered the art of contour in the summer!